Happy Friday All! So full disclosure I’ve actually made this one twice now, but the first go around I was simply so ravenous that taking pictures of the whole prep process just wasn’t feasible. We’ve all been there, right? Those times where nothing can stand between you and eating. BUT I cooked it again so that should speak to how yummy it is. 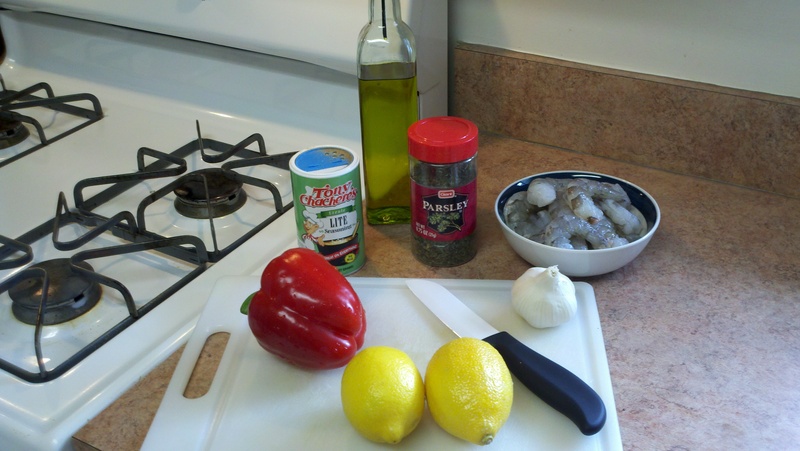 I stumbled upon this recipe as I was in search of a lemon garlic shrimp recipe with a little different spin than I had made before. This one not only fit the bill but added a creole spin to it. BONUS! It is also pretty easy peasy with 4 servings in just 30 minutes. I’m confident it will be a do over recipe for you too. 1. 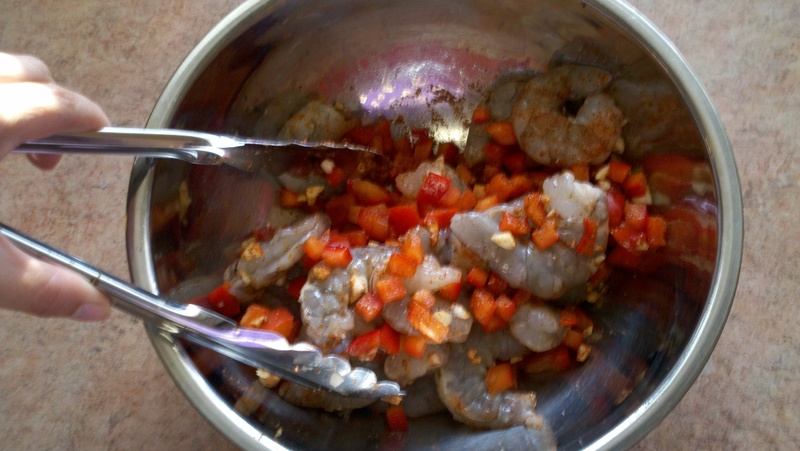 In a medium bowl, toss shrimp with Creole seasoning, red pepper, and garlic until the shrimp is evenly coated. 2. In a large skillet, heat oil over a medium high heat. 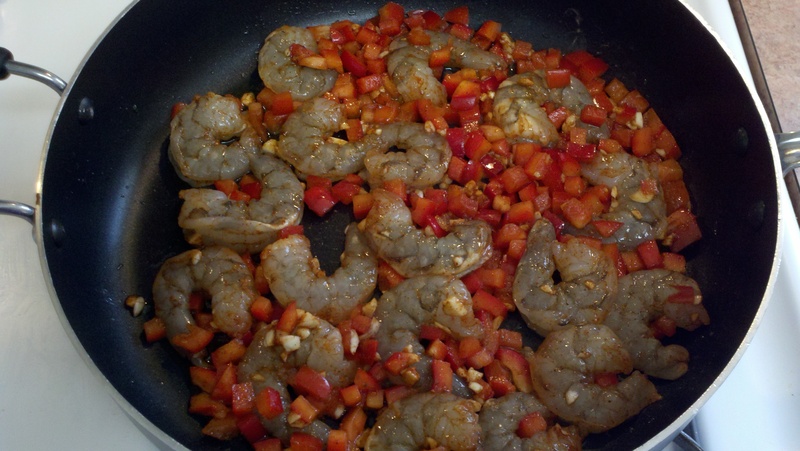 Add your shrimp and red pepper mixture and cook on each side until shrimp is just white throughout. This takes around 2-3 minutes each side. 3. Add lemon juice and parsley, stir, and serve. 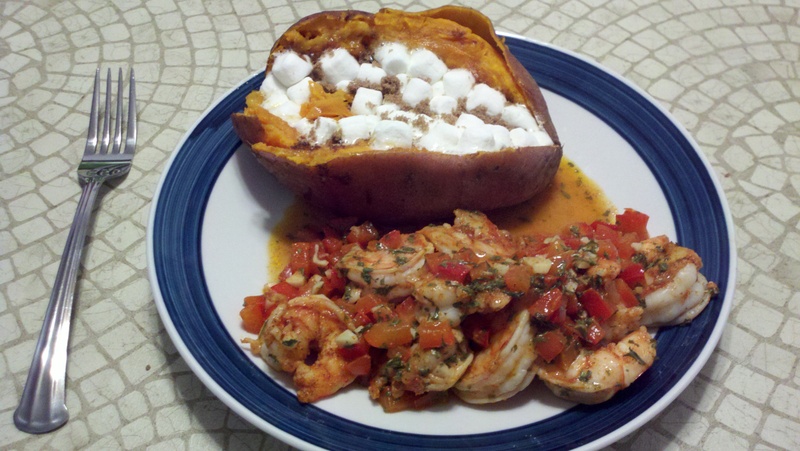 This spanish-inspired dish has been a regular re-do for over 3 years now. If memory serves, I think I was looking for a unique shrimp recipe. 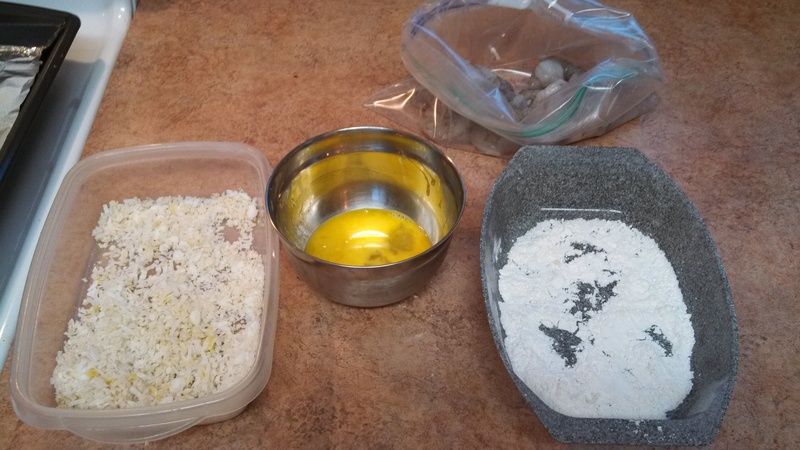 I stumbled upon this on recipe on the Eating Well website. The rest is history. 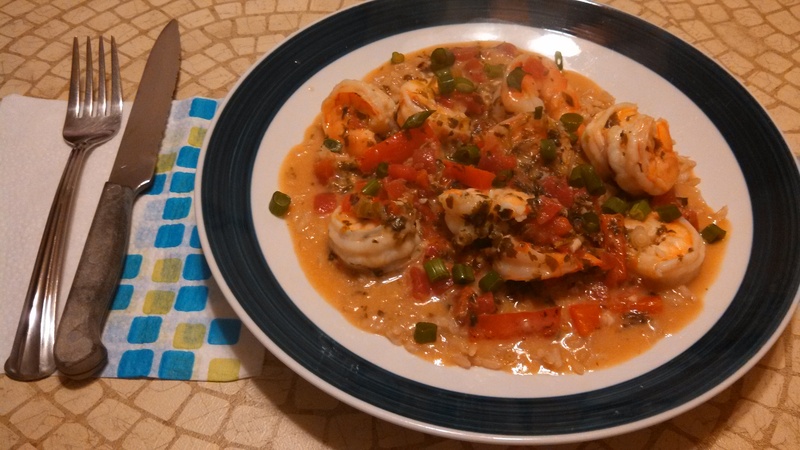 I’m a HUGE shrimp fan and I enjoy plenty of garlic and the flavor of paprika. 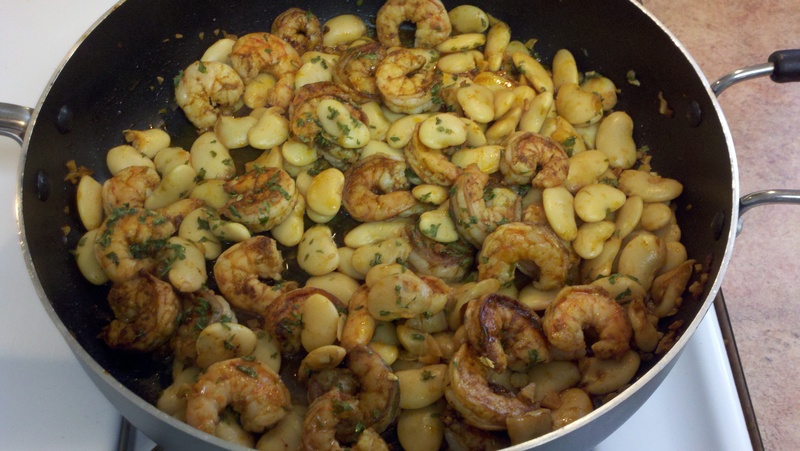 Once you make this, you’ll see why a shrimp and garlic fan like me files this as a “tried and true” recipe. The recipe notes that this is 6 servings. I divide it up 4 ways so each portion comes to around 370 calories/12 g fat/12 g fiber/35 g protein WARNING: Your house is going to smell insanely delicious as you prepare this. As a result, random neighbors could come a knockin. 1. 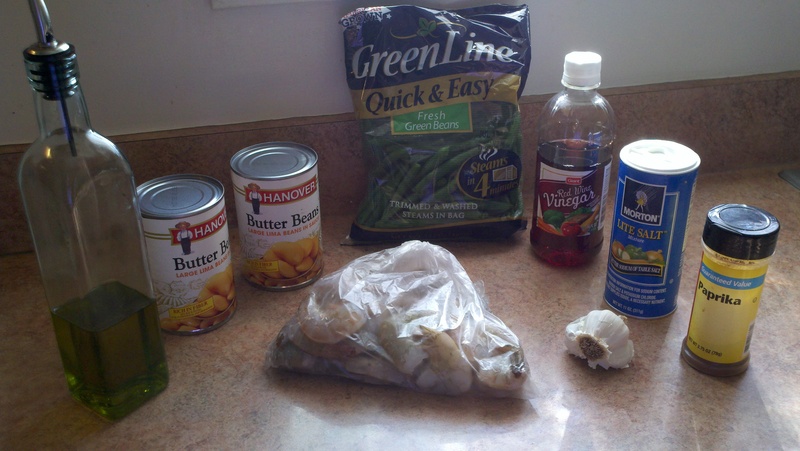 Pierce your bag of green beans and place in microwave setting it to high for 5 minutes. Don’t start it just yet! 2. 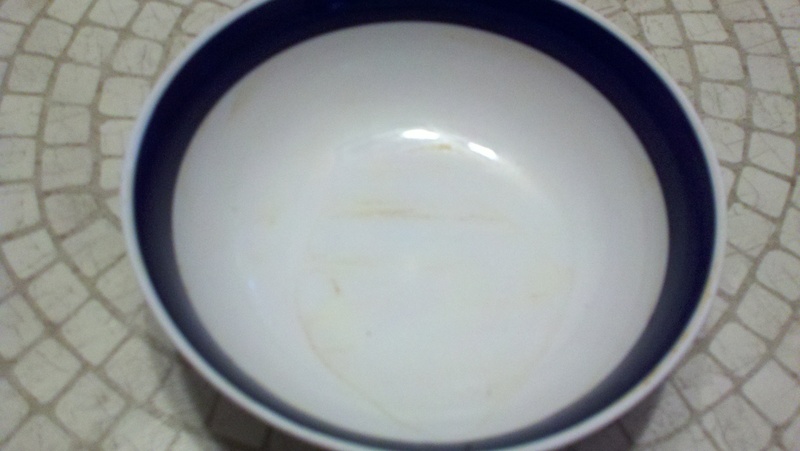 Heat oil in a large skillet over medium- high heat. 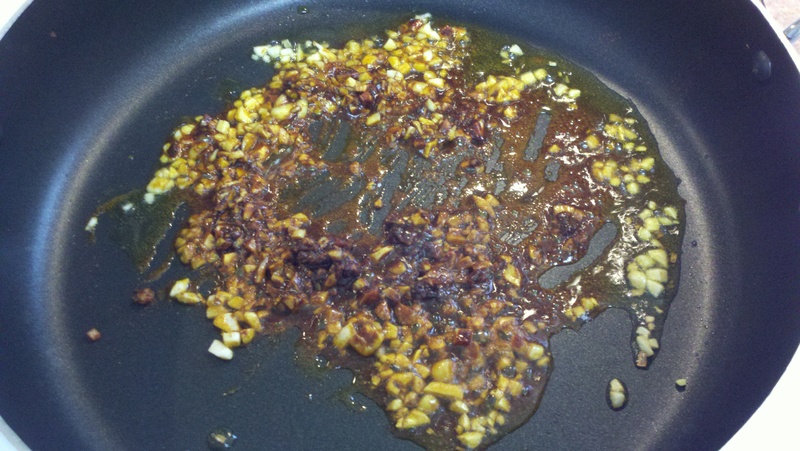 Once hot, add minced garlic and paprika. Stir constantly for about 20 seconds until fragrance hits ya. You don’t want it to begin browning however. Add shrimp and cook 2 minutes on each side. 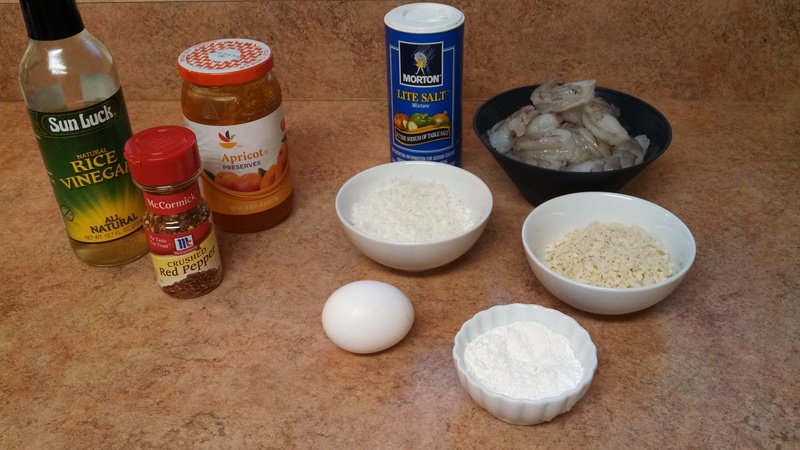 Start that microwave after you turn the shrimp for the second side cooking! 3. 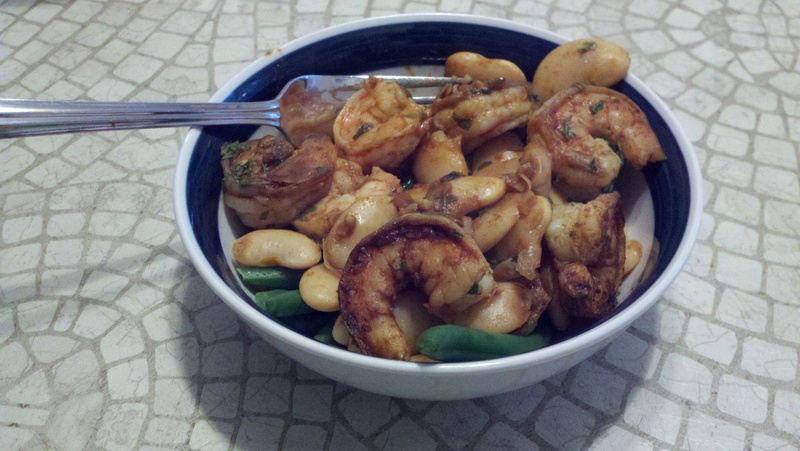 Once shrimp and pink/opaque, add the vinegar, butter beans, and salt stirring frequently until cooked thoroughly. 4. Add part of your parsely and stir well. 5. Remove green beans from microwave carefully minding the steamyness. Divide the cooked green beans amongst 4 bowl (or 2 bowls and 2 tupperware containers so you have lunch!) 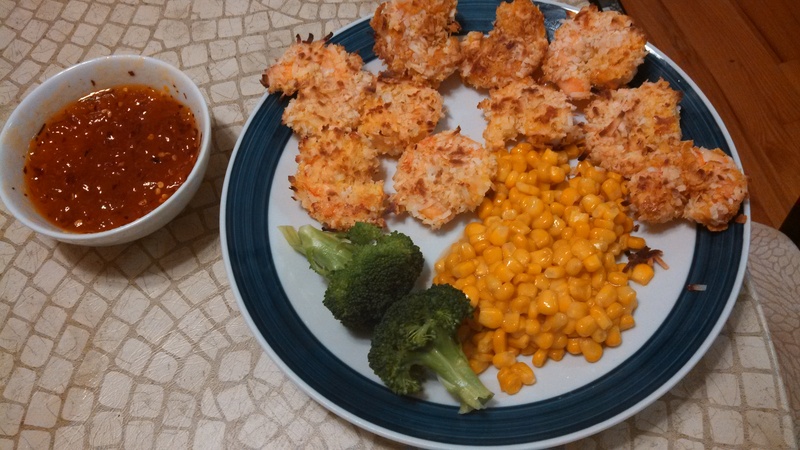 and divvy up the shrimp concoction 4 ways. Add remaining parsely to garnish and pepper to taste if you so choose.